The mother of one of the dozen third graders I was teaching last year in a home school setting crossed paths with me the other day. She reminded me of how the parents of my young charges had requested that I address gun violence with their children after the San Bernadino Elementary School Shooting came down. I had questioned whether or not it was advisable to deal with such a subject, but they had insisted that I bring it up in some way during interaction with the youngsters… “to prepare them.” I hesitantly agreed, contingent upon my being able to choose the particular angle to be used. I quickly secured their collective green light. 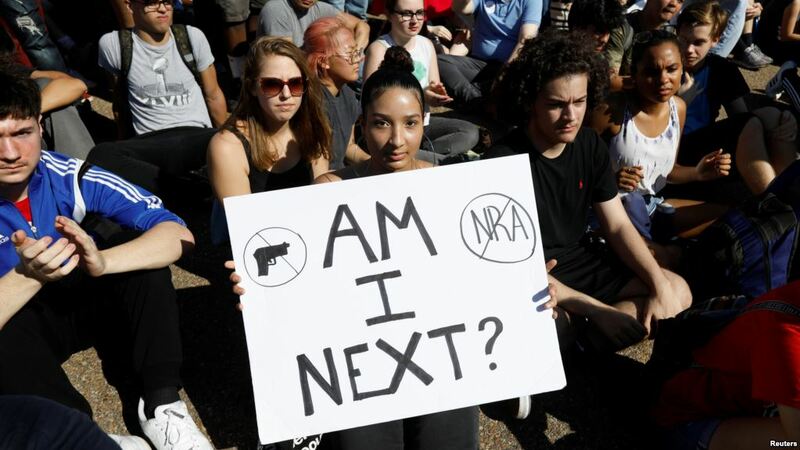 The angle from which I chose to engage with the students respecting gun violence I believe will be instructive to one and all, whatever one’s views on the right to bear arms happens to be. I had been teaching geography and geopolitics to the dozen students, and I decided to give them a list of the top twenty countries in terms of the number of guns per hundred people and juxtapose that list with the top twenty countries of gun homicide rates per hundred thousand people. With the former list, the U.S., of course, was at the very top, followed by Switzerland, Finland, Serbia, Cyprus, Uruguay, Sweden, Norway, France, Canada, Austria, Germany, Iceland, Bahrain, Macedonia, New Zealand, Greece, Northern Ireland, Panama and Croatia. In that order. The other list, shockingly, included ONLY ONE COUNTRY THAT WAS ON THE “U.S. POSSESSION LIST.” You’d think that there would be more of a positive correlation between the two, but only Panama appeared on both lists (#19 on the former, and #12 on the latter “violent” list. The kids really got it. They showed intense interest in the fact that the most important variable with regard to the incidence of violence was NOT the number of guns in a given country. And so we had lots of discussion time respecting what contributed to violence the most in a given society. Today, anti-gun folks might be quick to point out — in typical heated exchanges with NRA members — that the U.S. owns far more guns than anyone else; for every 100 Americans at the time there were 88 guns! And they’d — understandably — spotlight that the country has more than 9,000 murders each year. But even my elementary level kids knew that the relationship between guns and gun deaths was not to be reduced to such simplistic treatment. After my charges emerged from a research session, one brilliant kid pointed out that the tiny country of Trinidad and Tobago (#6) had one murder for every 58 firearms owned. If the U.S. had the same rate, noted a little precocious math youth, it would be looking at 4.6 million gun murders a year, rather than 9,000. In reality, still, there is only one gun murder for every 29,500 guns in U.S, hands. A French student was very proud to report that the gun-ownership picture seemed to be even more benign in his mother country. Apparently, there are 19 million guns in private hands there, but just 35 murders! That’s one murder per 540,000 weapons. The lessons learned over time by using all the above as a point of departure for interaction were many. I can’t go into hardly anything here and now, but I’ll be glad to share what I can remember, upon request. For now, though, I would like folks to factor in what it means that the U.S. is so involved in causing so much unnecessary death overseas with its weapons of mass destruction. For that too rarely is brought into discussions focused on school massacres. Richard Martin Oxman, Director of Flannery O’Connor Academy, has been an educator on all levels for over half a century, and has been involved in civic engagement for longer than that. He can be reached at aptosnews@gmail.com. He has written many articles on what is touched upon in the final paragraph above, and links to those pieces will provided, upon request. He believes it’s noteworthy that Honduras (#1), El Salvador (#2) and Guatemala (#5) on the most violent list are countries which have received arms and abominable encouragement vis-a-vis violence from U.S. foreign policy and covert action over many decades. Nations from which refugees — fleeing violence — now head toward the U.S. The author encourages contact to discuss the monumentally important issues related to these facts.